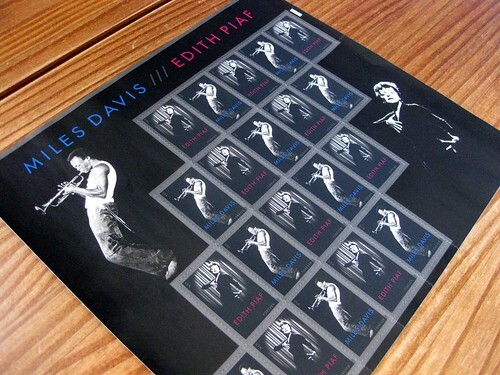 I don't even know why I'm quite so excited about the latest new U.S. stamp release, the Miles Davis & Edith Piaf stamps. I love jazz, and although Miles Davis is not my favorite, he's certainly one of the greats. 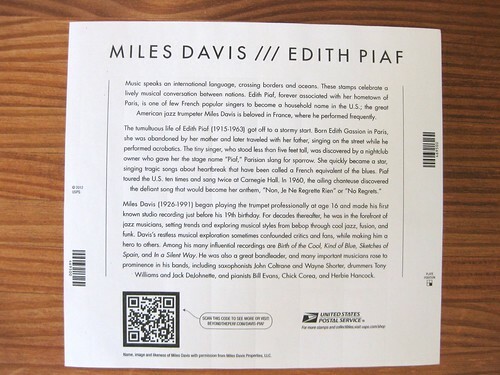 I've never been a big Edith Piaf fan. But there's something about the design of these stamps, and the theme of putting the two of them together, that has me utterly smitten. 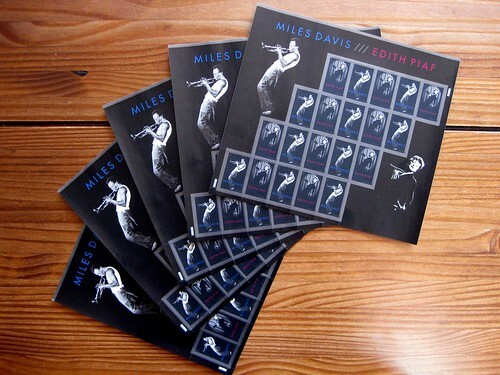 Perhaps I just love it when a stamp release is done jointly with two countries: this one is also released in, of course, France, via their postal service, "La Poste." I am charmed by the idea of international collaboration on stamps. Also, these stamps are just gorgeous! I love the design, with the highlighted image on black. Been to three post offices trying to get these.....how can they make money when they don't have the stamp people want to buy? I often buy online, to be sure of getting what I want. I'm rather amazed that my PO had them, since they often don't, but I asked before the release date and they actually had them "in the safe" ahead of time. My PO didn't have them either! Maybe they didn't expect them to be popular.. 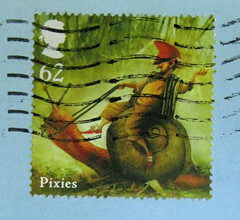 I like these stamps :) I am also eagerly awaiting the dance ones yet this year.